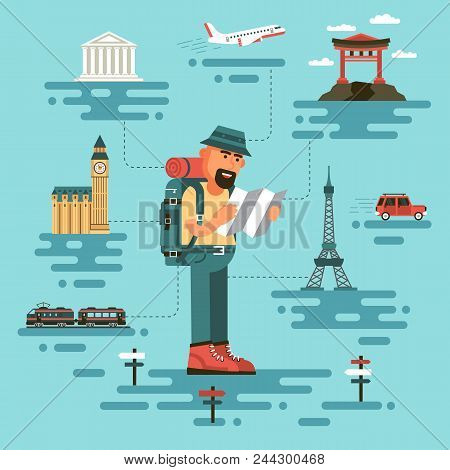 Bearded man in travel clothing, holds a map, surrounded by world monuments. Cartoon tourist in a flat style. On background plane, train and car.